With its embedded Bluetooth antenna and gyroscope, the Strike is able to accurately track ball speed, spin and rotational axis for the kind of in-depth information any serious pitcher or organization would want to have to make real improvements. 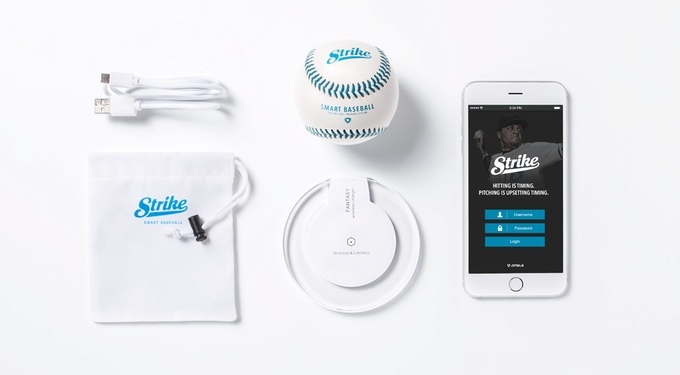 Jingletek, the company behind Strike, was able to create a product with this level of functionality while still retaining the baseball’s classic form and weight, a key factor in its possible adoption by baseball players, organizations and possibly the majors. In conjunction with the Strike’s companion app, users can compare different pitches, view activity history and even complete achievements for a more gamified experience. A 12-hour battery and wireless charging capabilities round out the Strike, going for $99 on its Kickstarter. It’s expected to ship in July 2017 should its $25,000 goal is reached by February 3rd, 2017. The Strike is a clever implementation of IoT principles in a neat package. It’s costed appropriately and adds an intriguing layer of data that casual and serious player alike will appreciate. The ball itself is rugged, too, able to withstand impacts of up to 120mph and resist dirt and moisture — important aspects to consider with something like a baseball. Similar products for other sports includes the Ti.ttle golf swing analyzer and the Hoop Tracker basketball training system.